Faculty, staff and students helped freshmen move into the residence halls on Move-in Day. Accompanied by a picnic, the Housing Office and MSU Life sponsored the event to welcome students and their families to campus. Pictured, left to right, are Samantha Morse, Paul Brekke, Nikki Egge and Cole Krueger. 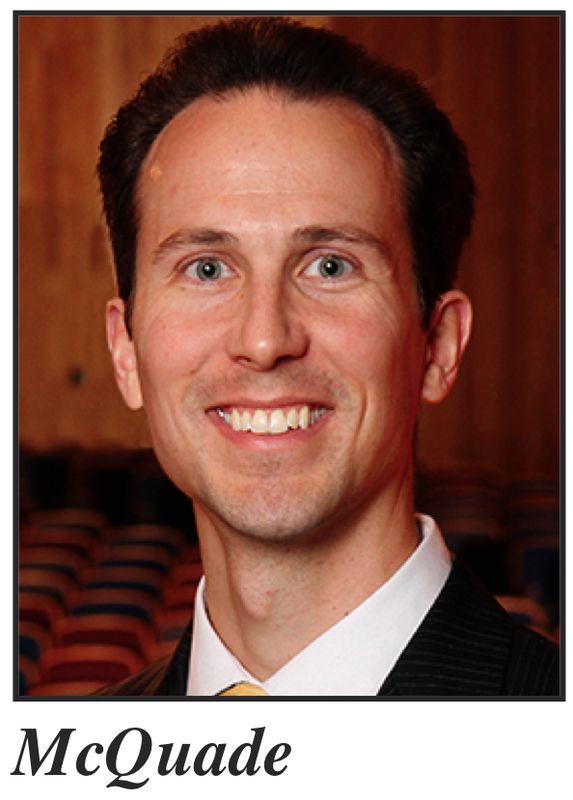 Mark McQuade, associate professor of music, assumed leadership of Western Plains Opera and Children's Chorus, one of Minot State University's premier arts organizations, this summer. A gifted musician, McQuade will direct as well as produce “The Magic Flute” in Ann Nicole Nelson Hall on Sept. 11 at 7:30 p.m. and Sept. 13 at 3 p.m.
WPO has built an established opera tradition within the region, beginning with “The Student Prince” in 1976. After leading WPO for 21 years, Kenneth Bowles, music professor, stepped down as executive director but remains chair of the MSU Division of Music. WPO also sponsors musicals and concerts of the Western Plains Children’s Chorus. McQuade, who previously taught at Oklahoma Baptist University, Shawnee, earned a bachelor’s degree in vocal performance at Oberlin Conservatory of Music, a master’s degree in vocal performance from the University of Oklahoma and a doctorate in vocal pedagogy and performance at the University of Mississippi. 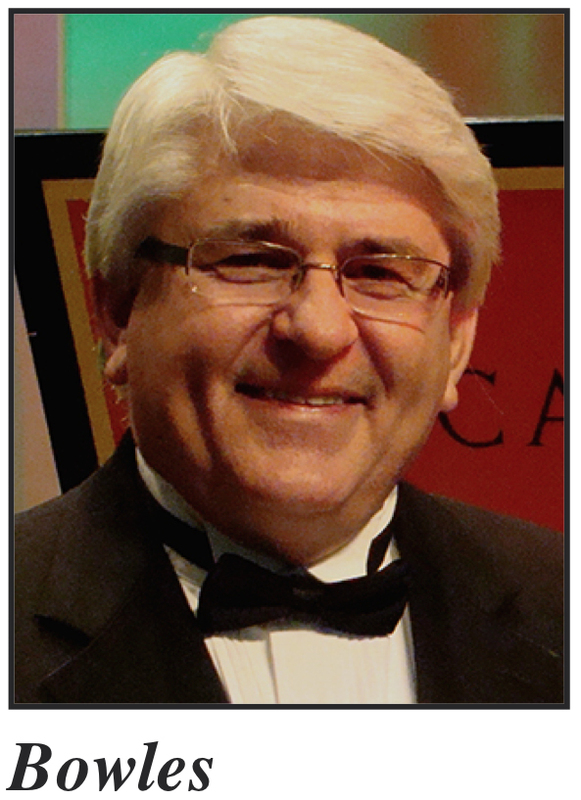 He possesses a distinguished record of heading university opera programs, including producing and directing a number of operas and musical productions. WPO will celebrate Bowles’ contribution and welcome McQuade at the WPO Opera Gala Sept. 1 at the Holiday Inn Riverside at 7 p.m. The event will feature performances by the lead singers in “The Magic Flute.” The gala will also feature a silent auction. MSU received specialized accreditation for its business programs through IACBE, located in Lenexa, Kan. The business programs in the following degrees are accredited by IACBE: Master of Science in information systems, Master of Science in management, and Bachelor of Science with majors in accounting, energy economics and finance, finance, international business, management, management information systems, and marketing. Accreditation represents a continuing relationship between an institution and its accrediting organization. The College of Business’ accreditation is valid for a maximum of seven years, through July 2022. For questions, contact Mrozik at jacek.mrozik@minotstateu.edu or 858-3110. The North Dakota Art Gallery Association was awarded an $8,056 Institutional Support grant by the North Dakota Council on the Arts. With this grant, NDAGA will continue providing arts programming and supporting cultural activities in its region. NDAGA, a nonprofit corporation promoting growth in North Dakota arts activities since 1975, provides professional training while coordinating exhibitions, information and services for gallery and museum personnel. It is headquartered in the Minot State University Art Department and overseen by Linda Olson, art professor and NDAGA executive director. The North Dakota Art Gallery Association is supported in part by a grant from NDCA, which receives funding from the state legislature and the National Endowment for the Arts. In addition, NDAGA gratefully acknowledges its other supporters, including all community sponsors and local patrons. To learn more about NDAGA, contact Olson at 858-3826 or linda.olson@minotstateu.edu or go to http://www.ndaga.org/index.cfm?page=about. Minot State University welcomes new employee Samantha Morse. Morse, assistant volleyball coach, was a NCAA Division I player at the University of Louisiana Monroe. The native of Glendale, Ariz., joins MSU’s program after coaching the past two seasons at the Revolution Volleyball Academy in Scottsdale, Ariz.
Aug. 26-Sept. 20 — "Firecracker Press," a letterpress design studio from St. Louis, combines antique printing technologies with modern thinking to produce objects that bring surprise and joy. Their exhibit is part of NOTSTOCK and is in the Gordon B. Olson Library Gallery. Aug. 26-Oct. 2 — "Americas 2015: All Media," a national juried exhibition with guest juror Richard Notkin of Vaughn, Wash., Hartnett Gallery. Ernst Pijning, professor of history, co-organized a thematic symposium with Paulo Cavalcante (UNIRIO) at the Brazilian National Association for University Professors (ANPUH). This simposium was titled “Contraband, illegality and religious hetrodoxies in the (Early) Modern period,” where 15 presentations were introduced and commented on. Pijning also presented a paper, “War and Contraband: the War of the Spanish Succession and the conjuncture of illegality.” This paper was submitted for publication afterward with the same organization. Kari Schmidt, Disability Health II project director at the North Dakota Center for Persons with Disabilities, recently presented at the American Society for Clinical Laboratory Science-North Dakota in Minot and to Sanford clinic and hospital lab personnel in Fargo. The presentations focused on accommodations for successful provision of lab services to people with various disabilities.